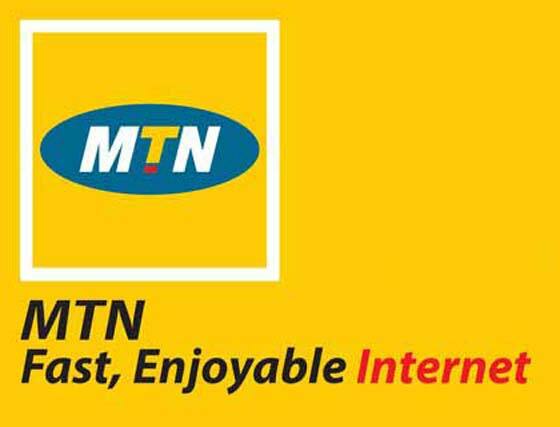 MTN Nigeria is starting 2017 with free 4GB data to all MTN subscribers. MTN is the first to be dishing out mega 4GB of data to their loyal subscribers in this fresh new year. 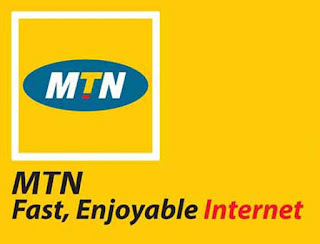 MTN Nigeria is starting 2017 with free 4GB data to all MTN subscribers. MTN is the first to be dishing out mega 4GB of data to their loyal subscribers in this fresh new year. The only downside is that the bonus does not accommodate all subscribers but it's a welcome development for the brand new year. 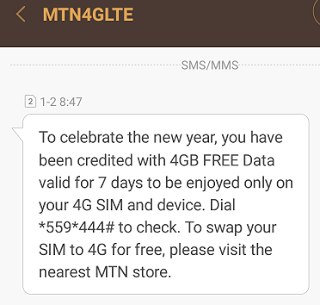 According to the SMS they sent, "to celebrate the New Year, you have been credited with 4GB Free Data Valid for 7 days to be enjoyed only on 4G enabled devices." Dial *559*444# to check if you qualify for the free 4GB data. Did you also receive yours? We wish other networks will do the same too.